Social life in hill areas of Uttarakhand contrasts sharply with lifestyle in cities like Dehradun, Pantnagar, Almora and Nainitial. But even the cities in Uttarakhand offer breath-taking views of Mother Nature as the entire state is nestled on the lap of southern slopes of Himalayas. Dehradun, the capital of Uttarakhand, is a hill station that is world famous for its exotic flora and fauna with botanical gardens that attract thousands of visitors each year. Kumaon (southeast) and Garhwal (northwest) regions of Uttarakhand are some of the best places to live in India with cool climate, top educational institutes and friendly people. Life is peaceful and people go about their work in a relaxed, tension-free manner even as the natural settings of Himalayan mountains extend a perfect foil for a healthy eco-system. 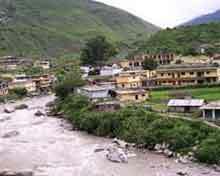 Both Garhwal and Kumaon districts have a rich ancestry and are dotted with pilgrimage centres that are world-famous. The vibrant culture, festivals, languages and community bonding in the hill society make Uttarakhand the perfect place for retired persons in North India. 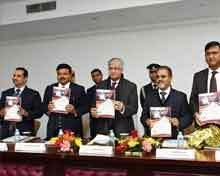 Uttarakhand cities, namely Dehradun and Nainitial are places where some of the elite Indians send their children to school and higher education. Top ranking educational institutes, research labs and government offices are located in these hill stations which offer a lifestyle that is closest to nature. While government jobs are most sought after in cities, still majority of people eke out their living through simple farming and handicrafts. In the cities the prime positions in society are occupied by skilled migrants from other states (outsiders) and the natives provide the back-up support to keep the urban life going. Unlike life in cities, the rural landscape is still untouched by the modern comforts, frills and luxuries. Rural people are basically into farming and small-time activities like carpentry, weaving and sundry handicrafts that fetch them a steady source of income. But lack of social infrastructure like schools, hospitals and civic amenities in remote villages make life arduous for locals who find it difficult to meet their aspirations. 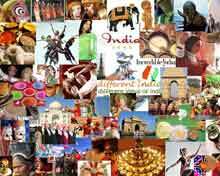 Uttarakhand society is a heterogeneous mixture of the various ethnic groups from the Kumaon and Garhwal regions. 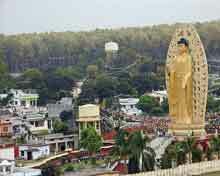 Most of the people belonging to the Uttarakhand society are heterodox Hindus and Buddhists. We also come across a number of Sikhs, who have migrated from west Punjab and settled in Uttarakhand since 1947. The languages spoken by the people of Uttarakhand are basically Hindi, Garhwali and Kumaoni. Some of the ethnic groups and sub-groups comprising the Uttarakhand society are Jaunsari (Koltas, Khasa), Bhotia (Jadhas, Marchas, Tolchas and Shaukas), Garhwali(Kumaoni, Buksha, Tharu and Raji). An analysis of the Uttarakhand society reveals that the native people had an agrarian- pastoral way of life, and they earned their living by cultivating the hilly tract. Besides the ethnicity, another aspect of the Uttarakhand lifestyle is its fairs and festivals with the community bonding. Some of the major festivals are Khatarua, Bat Savitri, Ganga Dusshera or DasarJanopunyu, Jauliji and Thal fairs, Uttarayani fair, Nandadevi fair, Syalde Bikhauti, Somnath (Masi) fair, Devidhura fair, Jageshwar fair, Punyagiri fair and Haatkalika fair. 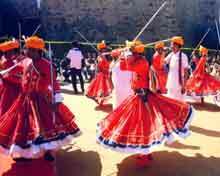 All the festivals and religious occasions are celebrated with folk dance, music and joyful greetings among the people. Folk arts (music and dance) like Chounphula, Jhumeila, Garhwali music, Langvir Nritya,Barada Nati, Chhopati, Mangal, Puja folk songs, Basanti and Pandav Nritya open up the much-needed entertainment avenues to the people of Uttarakhand. The moot question being posed to Uttarakhand is whether the state and its people can gear up to create more wealth to make this hill state progressive. Only through a conscious growth of industries without damaging the sensitive ecology can youth be provided gainful employment. Already, the mass exodus of youth from Uttarakhand due to paucity of jobs will have a harmful impact on the state's ability to improve its GDP growth. While skill training to unemployed youth is taken up on a priority basis with the opening up of district centres, setting up new industries in the plains is the need of the hour. State government is wooing investors a package of incentives and sops in order to expand its industrial economy which will open up more jobs to the youth. 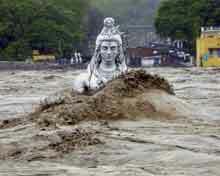 Grim memories of natural disaster of June 2013 in which flash floods killed more than 5,000 people will always haunt the people of Uttarakhand. Rapid urbanisation of pristine hills, massive deforestation and pandering to the interests of tourists by setting up resorts and lodges high-up in the hills have led to the nature seeking revenge on the people. One hopes the government has learnt the right lessons from the 2013 tragedy of not violating the sacred norms of nature's strict call while taking up development projects. Rural people can be equipped in such a way that they live in harmony with nature and also earn a decent income out of their main vocations like farming, weaving, carpentry, doll making and creating other household items.